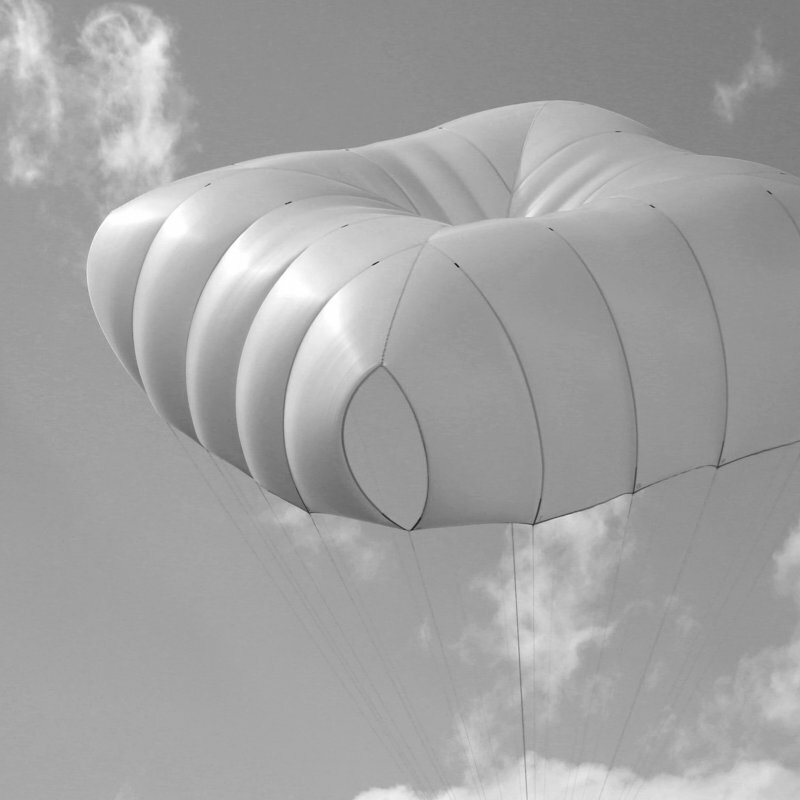 With the BACKUP series U-Turn presents an innovative line of reserve parachutes in the newest generation. The lightweight cross canopy X is built in accordance with the newest development findings and provides all constructional advantages of the square reserve parachute with a sensational weight of only 0.98 / 1.2 kg. The BACKUP X not only provides impressing minimum values at weight but also at the vital opening and sinking rates. Through elaborate calculations of the cross canopy shape and air outlets it results in a flight behavior that is almost completely free of pendulum movements. Thanks to the usage of state-of-the-art high-tech materials the BACKUP X is a lightweight despite its uncompromising sized surface area. This is vital for the sinking rate and the stable flight behavior. Efficient air inlets - in combination with the pre-tensioning at the base edge through Rapid Inflation System (RIS) - compensate for the surface area at filling behavior and opening time. Therefore the reserve concept was able to undercut the stringent norms of the EN and LTF certification. But also at the processing cutting-edge manufacturing methods at highest safety standards are applied. That is the result of the long standing manufacturing-know-how from the traditional parachute production. As another novelty the BACKUP X is equipped with the Easy Connect. That is an innovation by U-Turn that drastically simplifies the mounting of the reserve. Through an integrated soft-link the main bridle of the BACKUP RX can be connected with any junction neat and easy. The BACKUP X is EN and LTF certified and is available as of now. Backup your life! So grabbing the reserve gets easier. BACKUP X series: lightness that matters in case of emergency. Reliable when you need it - inconspicuous when you don‘t. 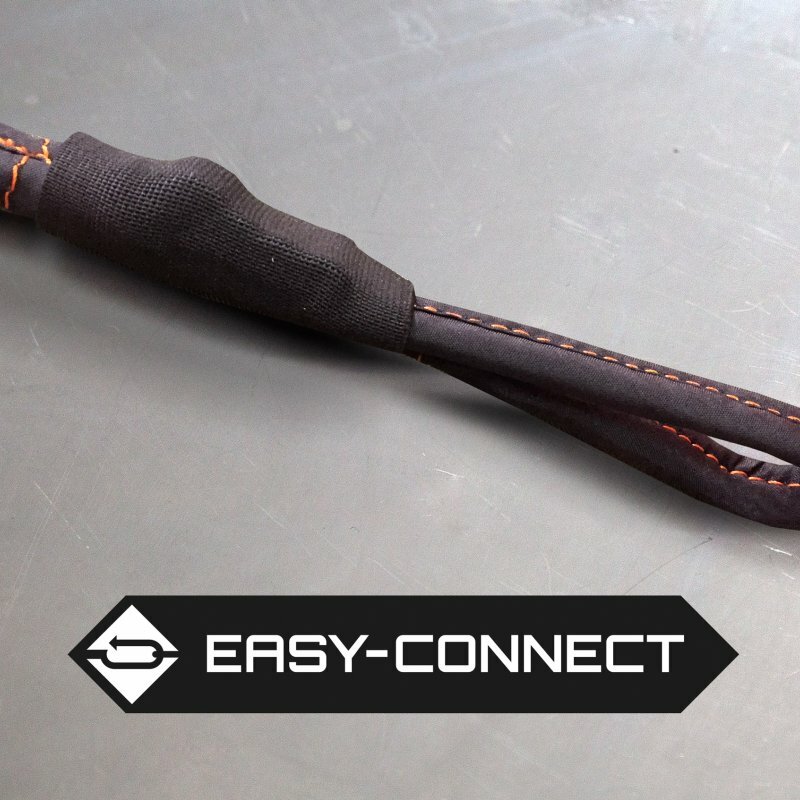 can be connected with any junction neat and easy. 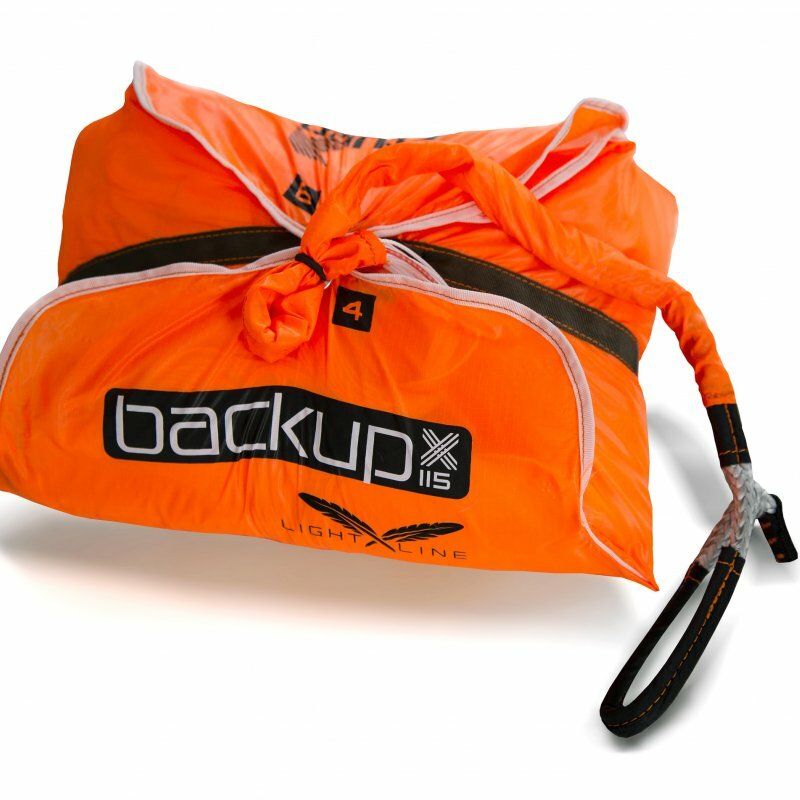 The BACKUP X is a versatile all-round reserve parachute that is aimed at a wide pilot profile. Inconspicuous through minimal pack volume and weight it provides reliability when it is required. Through the small pack size it is also the perfect choice for alpine pilots with convertible and lightweight harnesses.